At Progressive Dental & Associates, we provide our patients with Zoom teeth whitening as an innovative and effective way to transform the appearance of teeth. If you no longer enjoy your smile, have yellow or dull looking teeth, dark stains or simply need to refresh your appearance, call (708) 980-0110 to schedule an appointment with our 60443 dental office. In one appointment, we can dramatically improve your smile so that you can feel confident just in time for a special occasion. 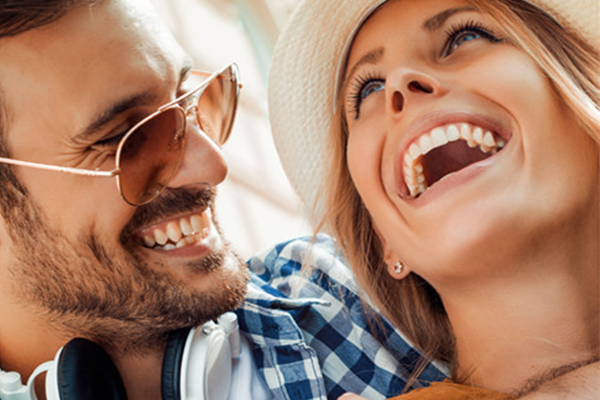 When you visit our Matteson, IL dental office for Zoom teeth whitening, you can be confident that your smile will be whitened by eight shades or more. This is the most dependable way to improve the appearance of your smile without undergoing major dental work. In fact, we can complete this procedure on your lunch break, so everyone has time for a whiter smile. If you try a solution at home, it could take weeks for the process to be complete, and your teeth still will not be as white. Clean and polish your teeth to ensure that the whitening gel is being placed on clean teeth, rather than plaque buildup. Protect your lips with a special lip cream to avoid irritation. Place a retractor in your mouth to help pull back the lips and expose the teeth. Next, you will bite down and rest your tongue on a cup that was placed in your mouth with the retractor. We will use a shade guide so that you can determine how white you want your teeth to be. After taking a photo of your teeth, we will place gauze inside of your mouth and a bib around your face, while giving you protective eyewear to use. This step can take a few minutes to ensure that the only area exposed to the whitening solution is your teeth. Next, we will place a protective solution on your gums. A protective solution is applied to your teeth and then the whitening gel is evenly brushed on. Check out what others are saying about our Zoom teeth whitening services on Yelp: Zoom Teeth Whitening Matteson. At Progressive Dental & Associates, we recommend whitening your teeth with the Zoom teeth whitening solution because your teeth will become whiter faster than if you try a kit at home. Dr. Durr will also ensure that your teeth are healthy and prevent any unnecessary sensitivity. This is a significant benefit of whitening your teeth under the supervision of a dentist. If you whiten them at home, you risk overexposure to the whitening solution and your teeth becoming sensitive as a result. Simultaneously, most over the counter solutions like whitening strips, trays, or toothpastes will only remove the surface stains on your teeth. Most of the staining and yellow comes from under the enamel so you need a whitening solution that will penetrate it. Our Zoom solution penetrates the enamel and begins the process of oxidization so that the molecules inside of your teeth reflect less light and appear colorless. This is what produces dramatic results. Most people that whiten their teeth at home see improvements but not to the degree that makes a significant impact. This is mostly due to the quality of the solution that is used while in some cases, like with whitening toothpaste, it is also because the solution is not on the teeth long enough. When you visit our Matteson, Illinois dental office, we can review all of your options with you and create a treatment plan that will give you the brightest and most beautiful smile. We highly recommend that you try Zoom teeth whitening for the best possible results. If you have any remaining stains, we can discuss other cosmetic solutions for covering them like placing dental veneers for a more attractive smile. We also recommend that if you are planning on having other dental work performed like getting dental implants, crowns, or veneers, that you have your whitening procedure completed first since these restorations are bleach resistant. Timing is critical when planning a smile makeover so we will let you know if Zoom should be part of this process. For more information or to schedule an appointment with our 60443 dental office, call (708) 980-0110. We will be happy to answer any further questions that you may have.